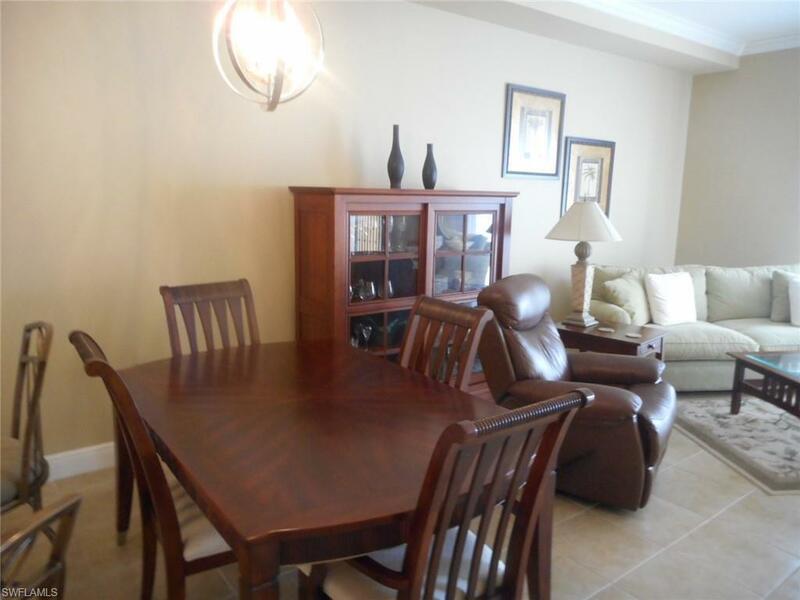 23159 Amgci Way #3210, Estero, FL 33928 (MLS #219021060) :: Clausen Properties, Inc. Rarely available, this 1 Bedroom, 1 and 1/2 Bath ...Tastefully "Turnkey Furnished" Condo is perhaps in the Best Location possible. Ideally situated a short walk from elevator to the front door and your extra storage closet is just across the hallway...no long corridors to contend with. Use the Side entrance of this building and you are at the Community Resort Pool/Spa Area and also the 3 story Community & Fitness Building. This secured building has covered parking under the building with "owner access" entry. 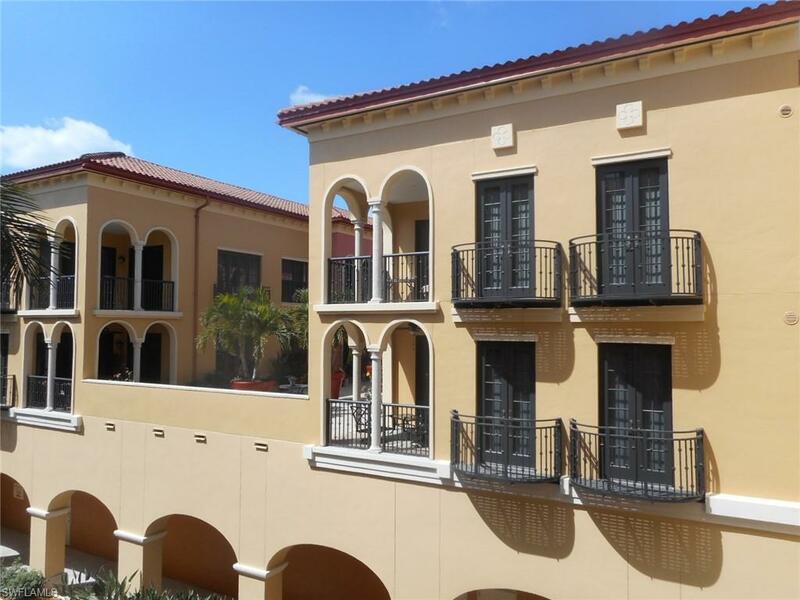 From the spacious screened Lanai you will have sunrise views over the landscaped area/courtyard. 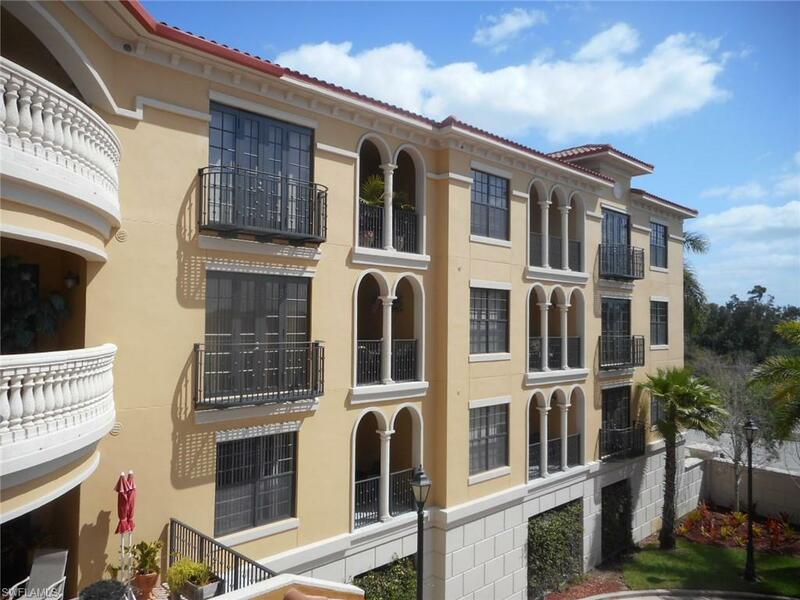 Being in Coconut Point you will have access to all the essentials...shopping, restaurants, movie theater and of course the beaches close by. Just a short drive to the airport will make traveling a breeze. 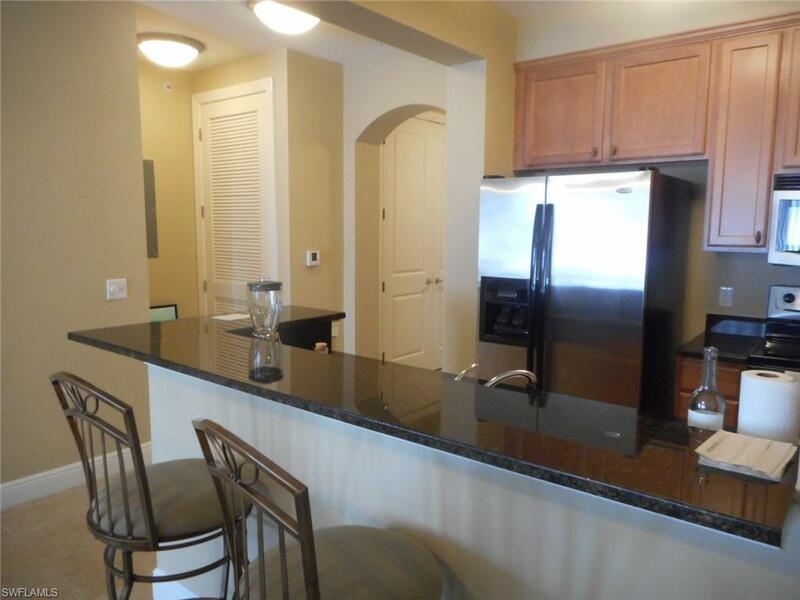 You will love the open floor plan of this home, and the kitchen with Stainless appliances, granite counters and wood cabinets...plus the large tile throughout the main living area and the laundry facilities in the condo. Foo season rentals do not include electric.